Art Deco meets Ancient Rome at the lovely Hotel de Russie. Formerly the Italian residence for Russian aristocrats, the hotel is centrally located in the heart of Rome. 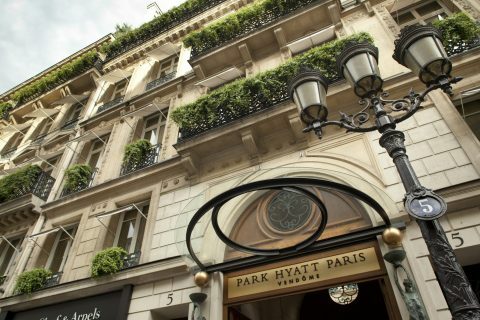 Its elegant yet comfortable feel and white-glove service make it a top hotel in the Eternal City year after year. The location. 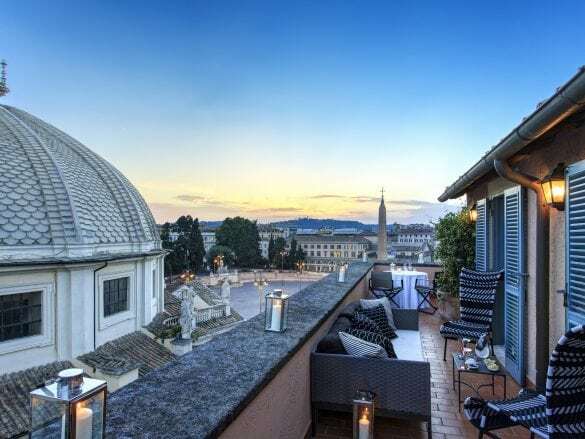 Situated between the Pizza del Popolo and the Spanish Steps, the Hotel de Russie is the perfect base for exploring the city. And though it is in the middle of all the action, the hotel’s lush courtyard, aka the Secret Garden, is an oasis from the busy city. Enjoying a cocktail or glass of wine in the Stravinskij Bar. 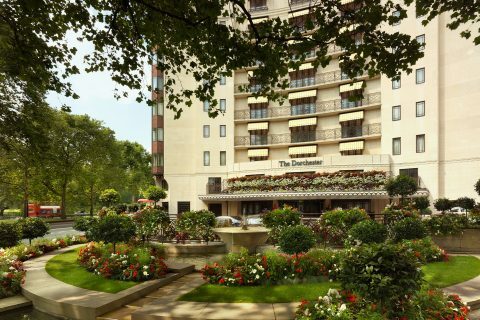 It is a popular spot for Romans, so you’ll feel like a local as you live la dolce vita on the verdant terrace. 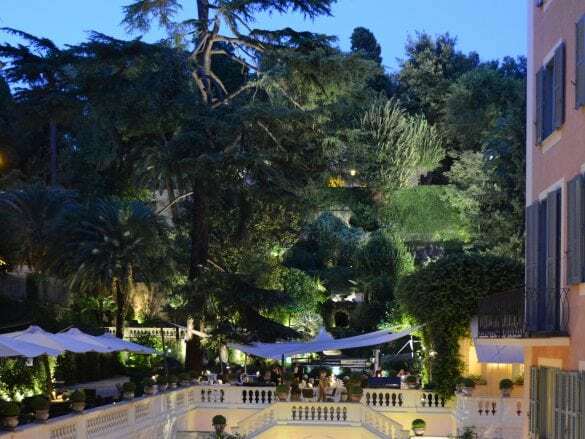 The Hotel de Russie has two dining outlets in the terraced garden. 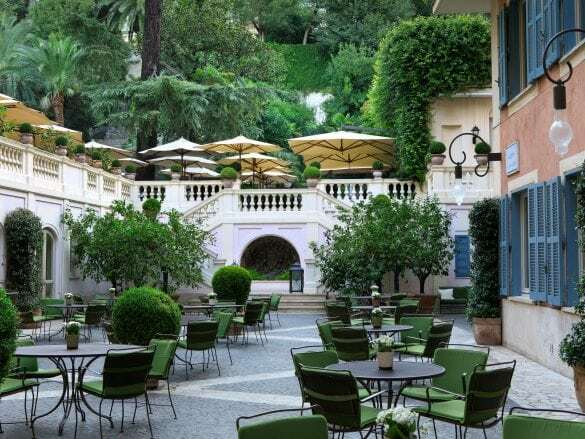 Jardin de Russie serves classic Italian dishes that you’ll be dreaming about long after your trip. The Stravinskij Bar has expertly mixed signature cocktails as well as light fare during lunch. 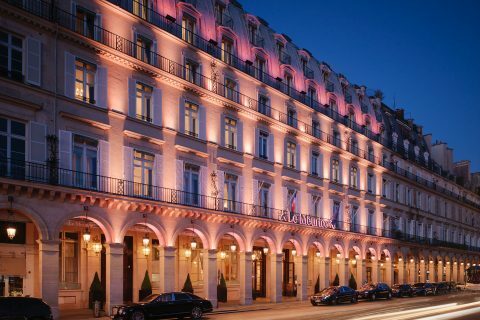 Rocco Forte’s “Families R Forte” program ensures that even the youngest travelers are pampered. From petite robes to milk and cookies at turndown, your little ones will feel right at home at the Hotel de Russie. Hotel De Russie is located on the edge of Piazzo Popolo by the best shopping street. 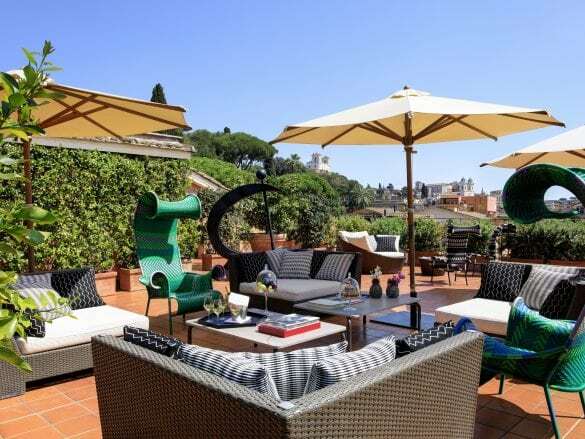 It is a five minute walk from Spanish Steps and ten minutes from Vatican City. 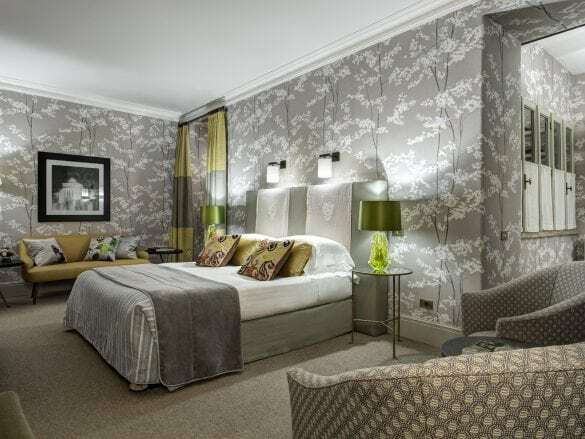 You can also easily get to Piazza Navona and the Trevi Fountain – just be sure that when you throw the coin over your left shoulder, you wish to return to Rome AND stay at Hotel de Russie. The Leonardo da Vinci International airport (FCO) is the closest airport. Take a cab from the airport to the hotel or your Brownell Advisor can arrange a private transfer. Order the ravioli with cheese and pepper at Le Jardin!